Who knows where they are going for Passover Seder? I do. But there are some people who don’t have a place to go and they need our help. 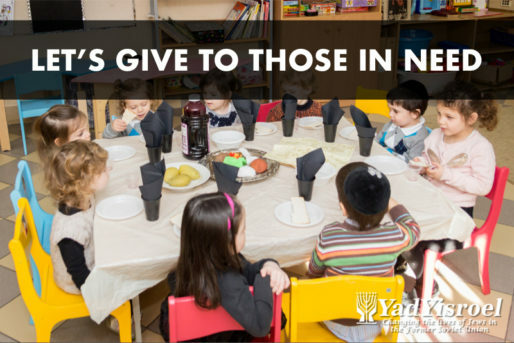 It is with great pleasure to partner with Yad Yisroel in joining their efforts to raise the money they need, to help those in need. Since 1990, Yad Yisroel has devoted itself to rebuilding the once bustling and vibrant Jewish community of Belarus. 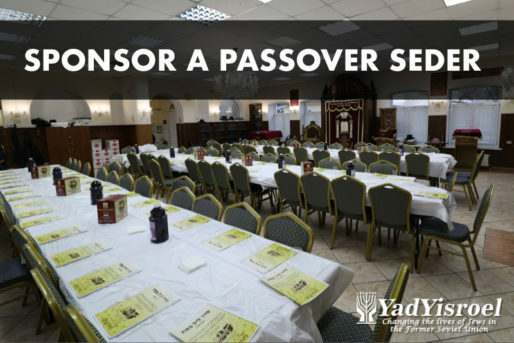 Each year, Yad Yisroel opens their doors to Seder and holiday meals as well as providing the complete Passover experience to their guests. 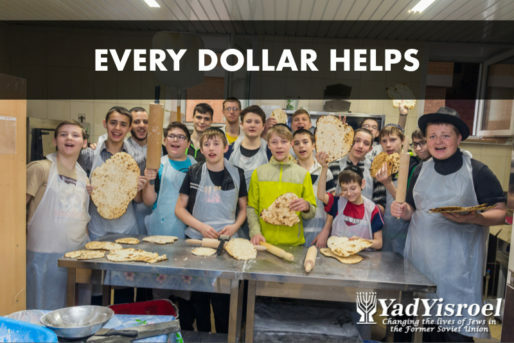 Every dollar you donate goes directly to Yad Yisroel‘s Passover fundraiser. Any amount helps, it takes so little to do so much. Please join me in doing our part to help others have a very happy Passover. It means so much to each person who is helped. Thank you and may you and your families have a Chag Kasher V’Sameach, Happy Passover from Humans of Judaism and Yad Yisroel.